e are a men only barber shop located in the North West. 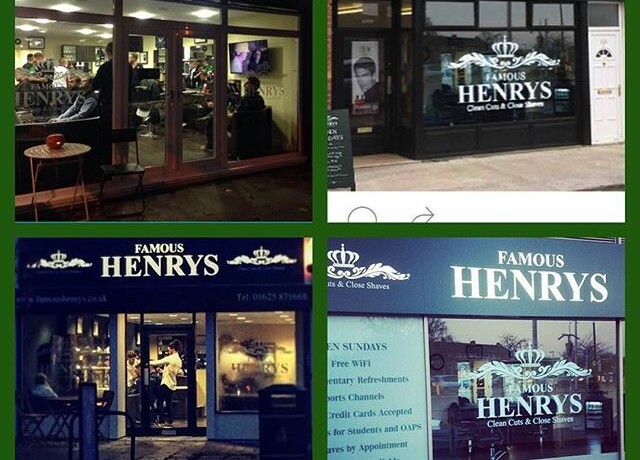 We have shops in the following areas; Cheadle, Wilmslow and Hazel Grove. The business is continually expanding and improving. We are proud to employ over 24 barbers, we work hard in creating an exciting and vibrant atmosphere in all shops to help and support barbers with all aspects of the job. Full training and education is given to all barbers who come on board. Our barbers are continually upskilling and receiving training on a number of styles and techniques. If you are looking for something a bit different, come in and have a chat with our barbers, they will be able to help you decide which cut is best for you: Modern Short back and sides, The skin Fade, The Under Cut, Perfection Blending, Luxury Wet Shaves. All shops are open Monday to Friday 8-7pm and open Sundays 10-4pm.